Owing to our vast industrial experience in this domain we are highly engaged in offering Adhesive Backed Wool Felt. 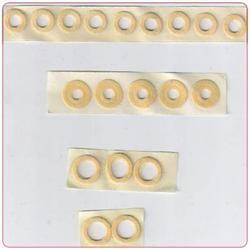 These wool felts are comes in various solvents base and used as per different applications. Offered wool felts are made by using quality natural fibers with other material as per the set standard of market. Our customers can avail these wool felts from us in varied sizes at most affordable price. Looking for Adhesive Backed Wool Felt ?